With increased populations in suburbia leading to smaller homes with shrinking living spaces inside the home, outdoor spaces have become more valuable to residents. Not only are people entertaining outside more, but their outside areas have become an extension of their inside spaces, often with dining and entertainment areas now being transferable between indoor and outdoor. Use your limited space wisely by assigning specific uses for each area. This will ensure all spaces are utilised and everything has its place which is important for storage and small back yards. To help create room’s outdoor flooring, such as pavers, can be used to show a designated area. Using garden beds and pot plants to surround an area can also provide a clear division between areas, while also adding to the aesthetics of the design. Having a garden can seem impractical in small areas, however with the introduction of vertical gardens and the clever use of pot plants, a garden can be introduced easily. Vertical gardens provide a great opportunity to grow your own herbs and vegetables while also not taking up precious space. Incorporating pot plants can be beneficial if you don’t have the space top plant also as they can be moved around as the seasons require and can also be introduced inside. If your home didn’t come with much landscaping, or even worse, it’s basically a small patch of dirt and you can’t afford extensive landscaping, consider a fire pit, water feature or pizza oven to create a focal point and social area. A stone fire pit instantly makes a place to hang out during the winters and it’s a great addition to a small yard. A fire pit can be made easily from masonry blocks or be already assembled, either way, it can be an effective means of creating impact. Create spaces that have multiple uses, such as outside dining area that can be changed into a cinema. Creating multiple uses for space creates greater opportunities to use an area and get the most out of your spaces. Also using multipurpose furniture is another means to maximise your outdoor spaces. For example, an ottoman can be used as a seat or a coffee table. Contact one of our masonry experts to see how our products can help maximise your outdoor spaces. From retaining walls, paving patios or creating a fire pit, we have a solution for your next project! Adding pavers to an area can add great value to a home whether it’s defining an outdoor entertainment area or adding structure to a pathway. Choosing the right paver can be difficult which is why the team at Baines Masonry have outlined several factors to consider when selecting pavers. The first decision is choosing the type of paver. This will generally be based on the style in which your design is based on also its application. 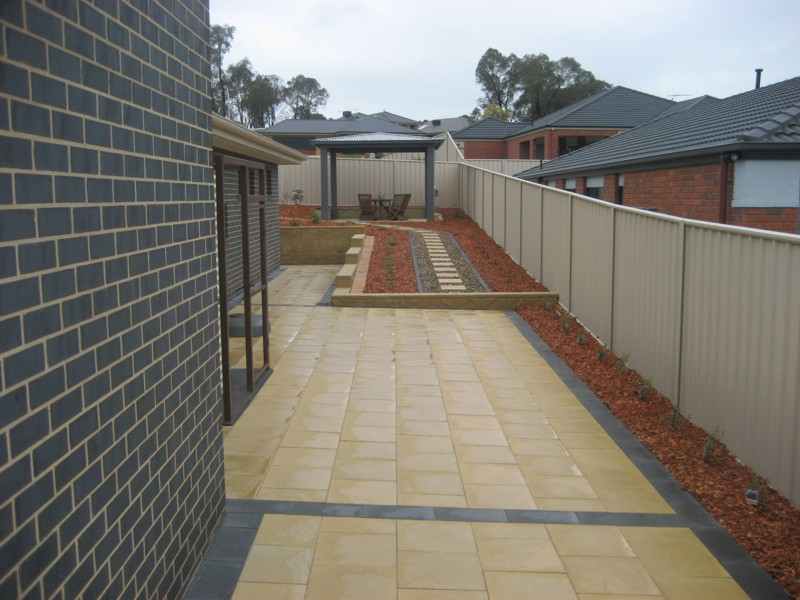 The two main types of pavers available at Baines Masonry Blocks are our natural finish pavers and concrete pavers. Our Natural finish pavers are our TrojanStone pavers used generally for a natural and high design finish. Our concrete pavers are our ColourStone paver range made from coloured concrete. Regardless of the design of your project we have a paver to suit! When selecting a colour, simple choices that complement but not distract from your space are ideal. Remembering that colours affect moods and influence emotions, the tone can influence the aesthetics of the area. Also colour can influence how space looks in size with lighter colours generally making space appear larger. Colour can also be used to create points of interests and can be used to incorporate a pattern or unique design. Pavers come in a variety of sizes from large and small. Generally the larger the paver, the smaller the space may appear. Also when considering size, application should be considered as this would affect the longevity of the products use. For example the use of large pavers in a driveway or high traffic zone may leave to increased pressures and breakages, and as such smaller pavers are suggested to be used instead. The layout of a paver design doesn’t need to be boring, with a multitude of different patterns available to create a unique space. Patterns can be designed to incorporate different sizes and colours along with unique placement choices. It should be noted however, that a design will be influenced by the existing aesthetics of the surrounding environment. For example, a modern home would look best with a more simple design and complementary colour. 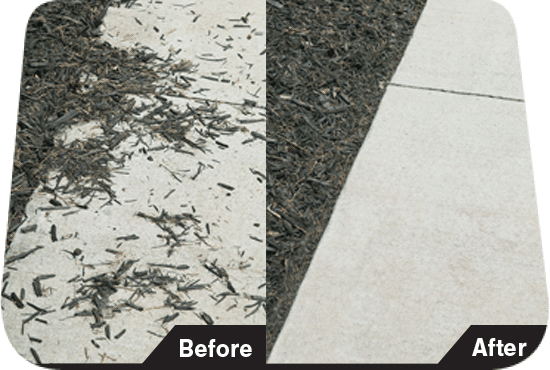 After selecting your paver style its time get your paver project underway! For more information on our range of pavers and installation processes contact one of our masonry experts! Using masonry blocks for the construction of your next project is a sustainable choice with several environmental benefits over other solutions in the market. 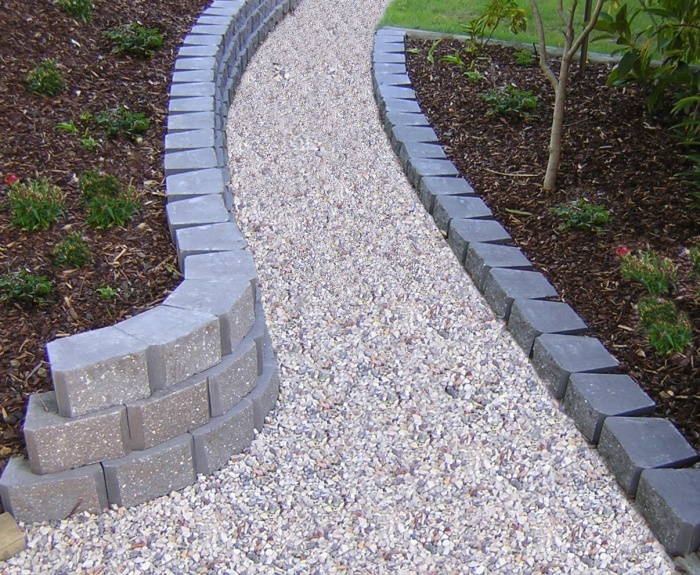 The material, a combination of concrete and aggregates, creates a low maintenance product which lasts longer. This not only reduces the environmental impact of producing more material, but also provides more financial value as replacement products are not needed. At Baines Masonry, our blocks are made from recycled material further enhancing it sustainable properties. Masonry Blocks can also reduce the energy consumption of residents of a building, as the structure is able to sustain its temperatures for longer, providing insulation during the cooler and warmer months. The consistent temperatures lowers energy costs by moving peak loads to non-peak hours due to the longer hours of sustained temperature, while ensuring the comfort of those inside. Due to the ease of movement of masonry blocks and their size, the construction requirements for masonry blocks are kept to low. Without the need for large equipment the impact on the environment is lower than other products on the market. Not only are our masonry blocks sustainable, we at Baines Masonry have considered what is best for the environment in all aspects of our business. Our production facility at Appin, south of Sydney, has been configured to lower embodied energy, reduce greenhouse gases, increase recycling, eliminate water pollution, and preserve local fauna and flora. To find out more about our masonry blocks and how they can transform your next project while also providing a sustainable solution, contact one our masonry experts today! 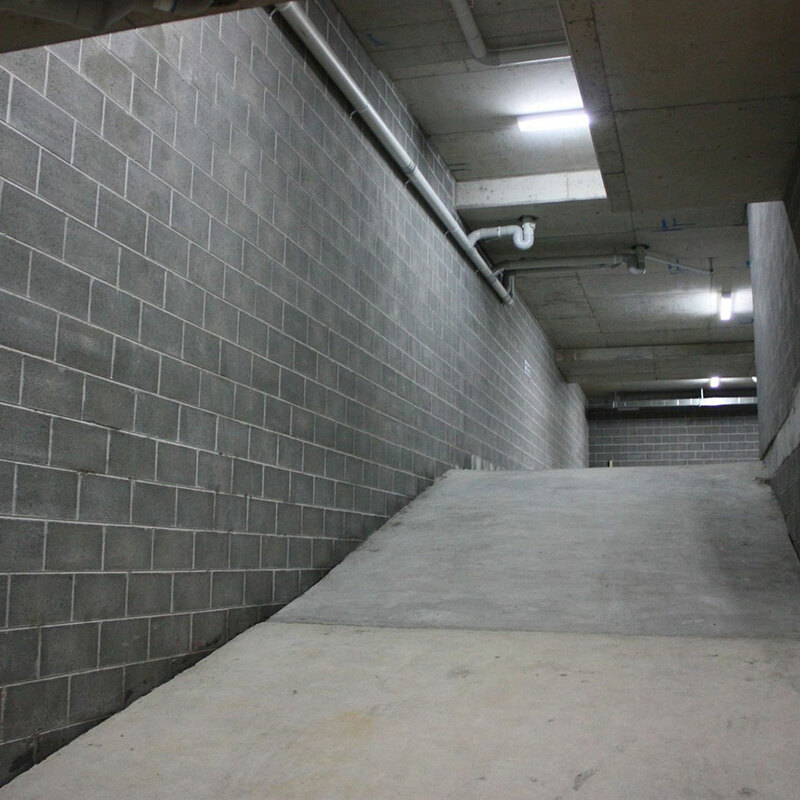 Baines Masonry currently offers two types of concrete blocks that are recommended where specific fire and acoustic performance is required; the Betta Block and Dense Weight units. The material composition and specific unit dimensions have been optimised, tested and assessed by leading organisations around Australia in order to provide exceptional fire and acoustic performances. Baines Masonry products are suitable for use in load bearing and non-load bearing walls for all types of buildings. Both types are available in various sizes, including 100mm, 150mm, 200mm and 300mm series blocks, and are suitable for core filled and non-core filled applications. Their light grey cement-like colour makes them a great block for an industrial look, when kept bear, or can be rendered to suit your design. Architectural Masonry is the evolvement of standard grey concrete masonry blocks into a diverse range of aesthetically pleasing concrete masonry blocks. 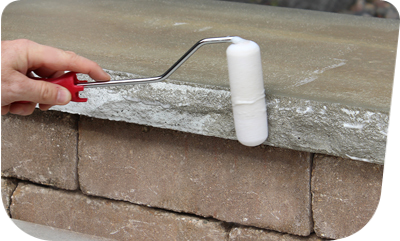 They can be used as a stand alone or in conjunction with other masonry materials. Baines Masonry’s range of Architectural Masonry blocks not only provide functional value but are also durable, incorporating various colours and textures. Split Face masonry units are integrally coloured pre-finished architectural concrete blocks with a beautiful, rough-hewn texture on one or more faces. Units are moulded with two units attached face to face. The units are then mechanically split apart after having been cured, leaving the split face with a rough texture, similar to natural stone. The splitting process reveals the aggregates used in the block, so different aggregates will give different appearances and no two units are exactly alike. Smooth Face is the finish of the standard block but made in one of our natural colours resulting in a wall which is both attractive and economical. Smooth Face blocks are often used in combination with Split Face blocks to great aesthetic effect. We make Smooth Face blocks to order in 3 thicknesses for both commercial and residential projects. All smooth coloured blocks are manufactured with a water repellent admixture to add to their quality. Honed and Polished blocks are the natural choice when you’re seeking distinctive highly finished walls that have been designed with a careful eye to detail. The system uses the Henrick patented system of adhering natural stone to structural masonry blocks. The system involves using high strength, purpose neutral-cure adhesive, and 316 stainless steel marine grade pins which are fixed mechanically to the top and bottom, ensuring each unit’s structural integrity. 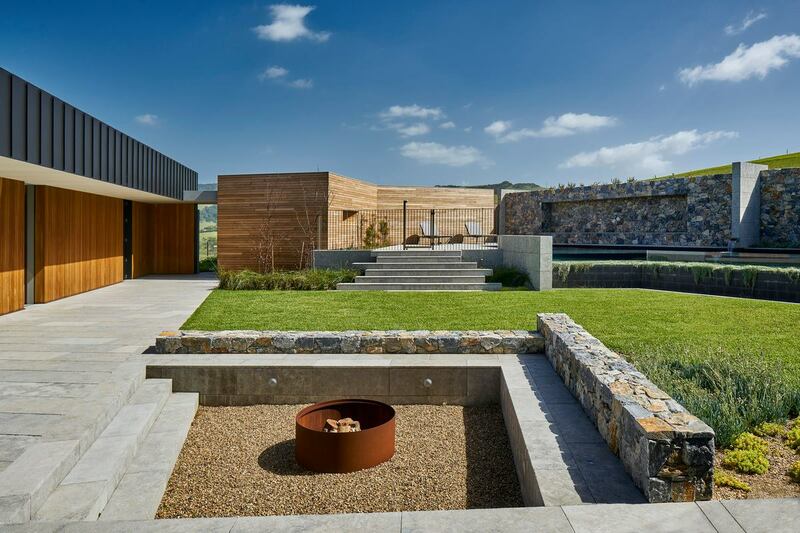 Its natural stone face finish makes it idea in the Australian landscape and design scene. StoneFace™ is an innovative new concept in architectural masonry which draws inspiration from the Australian landscape and Australian heritage buildings to create a unique and eye-catching stone finish. A system was created where a reconstituted stone face finish is attached to the masonry block during the manufacturing process, creating a clean and stable finish that lends itself to a variety of uses from feature walls, retaining walls, fences and more. To aid in the design of a project, Baines Masonry have developed an online Masonry Designer Software which allows you to select the colour, block type and layout. The result is an electronic visual of your project, taking the risk out of your design choices as making a decision can sometimes be hard when the outcome is not clear.The possibilities are endless, as you can mix colours and block types while creating numerous examples. To discuss our range of architectural masonry and how it can elevate your next project, contact one of our masonry professionals.